In the past decade cloud computing has grown tremendously and has become a must-have business tool. 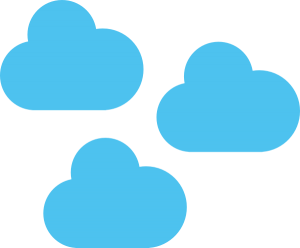 There have been many misunderstandings when it comes to what exactly is the cloud. Understanding what is fact or fiction will help you realize the business potential cloud computing has to offer. Myth #1: Top benefit of cloud computing? Lower Cost. 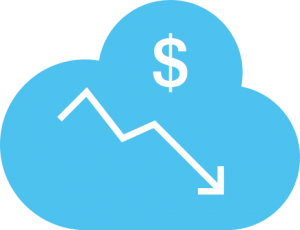 Reducing operational and capital costs are certainly good reasons for adopting cloud computing. For many companies, the initial step in the migration to cloud involves consolidation that drives significant cost savings. But these days, adopting cloud-based solutions is rarely just about saving money. Businesses are realizing that further migration to a pre-defined service catalog, self-service provisioning, and auto-scaling drives speed of deployment, business innovation, and agility/adaptability to changing business needs. Others see the cloud as a way to gain flexibility and to reduce the risk of failed deployments. The biggest benefit of the cloud may differ from one organization to the next and is usually directly tied to whatever issue is driving cloud adoption in the first place. Myth #2: Want secure? Public clouds are not the way to go. Security has long been one of the top concerns among businesses considering a move to public clouds. The fact is that businesses often improve application and data security by leveraging enterprise-grade public clouds. Many corporate data centers have limited security resources and expertise, challenges meeting regulatory requirements, outdated software, hardware, and don’t perform regular security audits and assessments. However, tight security is a must for any public cloud provider, many have the following: a team of cloud security experts, processes in full compliance with regulatory, industry standards, regularly scheduled third-party security audits, and automatic updates for their hardware and software. 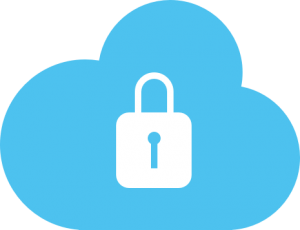 Still, not all cloud security is equal and the best advice is to review your cloud provider’s security technology and practices to understand any potential security risks. Myth #3: Multiple clouds are the only way to run my business. SaaS, PaaS, and IaaS providers are constantly trying to get your business. Addressing different business functions don’t always require a wide range of specialized services. The wider range of services requires you to deal with complex and often times costly integrations. With multiple cloud services, your users will face multiple, inconsistent user interfaces and experiences. A complete, integrated enterprise solution eliminates the need for complex integrations and disjointed user experiences that result from using multiple specialized clouds. Resulting in less staff downtime, missed business deadlines, and stunted innovation initiatives; which can be due to poor integration of cloud applications from multiple vendors. Myth #4: Cloud or no Cloud, there is no in-between. In today’s world, businesses need the ability to rapidly respond to new trends, utilizing a wide range of cloud-based solutions to meet their specific needs is a great way to go. Also, for many businesses, transitioning to the cloud requires a multi-step approach that will adapt to constantly changing business needs and priorities. In many cases, the first step is to move from siloed environments to consolidated or virtualized environments. In other cases, companies move to private clouds by introducing self-service and auto-scaled environments, or metering and chargeback. To some, specialized public clouds provide a rapid way to adopt the cloud, deploying SaaS-based solutions that address particular business functions. In the future, most businesses may eventually move to hybrid clouds in which applications span both private and public clouds and are managed in a federated manner. While awareness among business people of cloud computing and its capabilities has steadily grown, myths about the cloud still linger and can lead to decisions that result in a whole new set of problems. It’s important to understand all of your options and how each can impact your business. By making informed decisions, cloud computing can offer your business choice, value, and flexibility. Interested in cloud computing services? Contact Seamgen!